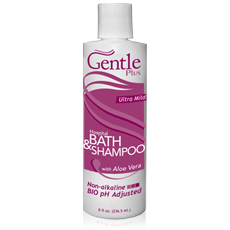 Gentle Plus Bath and Shampoo is ultra mild, non-alkaline body wash that is gentle enough for everyday use and has a light refreshing scent. Gentle Plus Tear Free Shampoo is gentle enough to be used by adults and babies alike to protect the skin, scalp, and eyes from irritants. It has a light soothing scent and cleanses without drying skin. 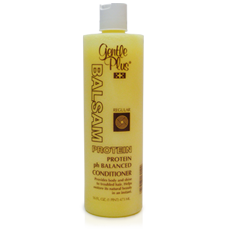 Gentle Plus balsam shampoo is specially formulated to clean, condition, and restore hair's natural shine and is ideal for all hair types. 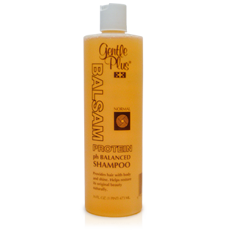 Balsam shampoo protects hair from the damaging sunrays with essential oils. Balsam conditioner is enriched with natural moisturizers to deeply condition and strengthen hair and is ideal for all hair types. Nourishes with a unique smoothing protein complex to provide instant detangling, manageability, and extra shine. Provides extra luster to damaged hair and makes combing and brushing easier.